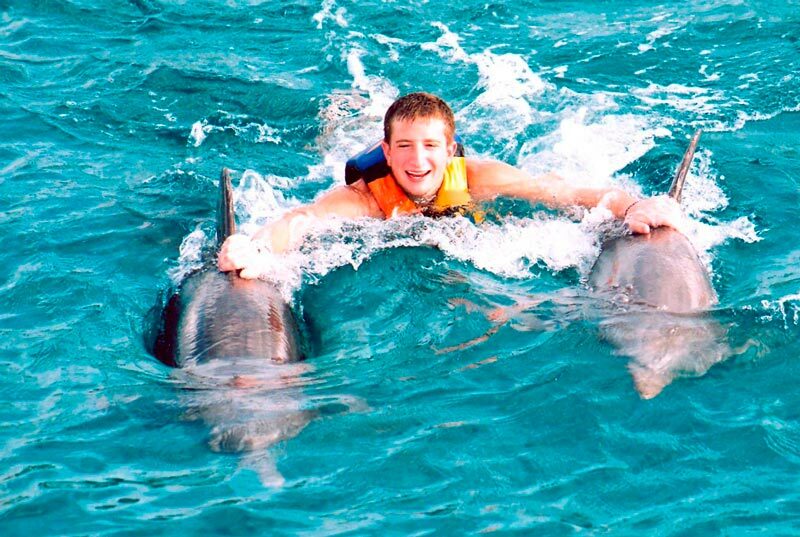 The Dolphin Royal Swim is definetely the best swim with dolphins program and one of Cancun best things to do. The Dolphin Royal Swim is done at Isla Mujeres, where you'll be able to swim with dolphins in their natural habitat, not in a pool. 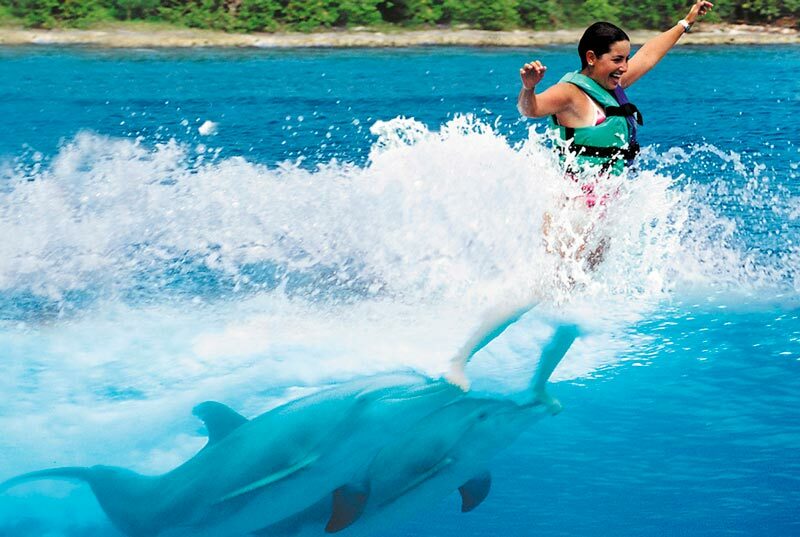 Dolphin Royal Swim is the most exciting program since you'll experience the famous "Foot push". 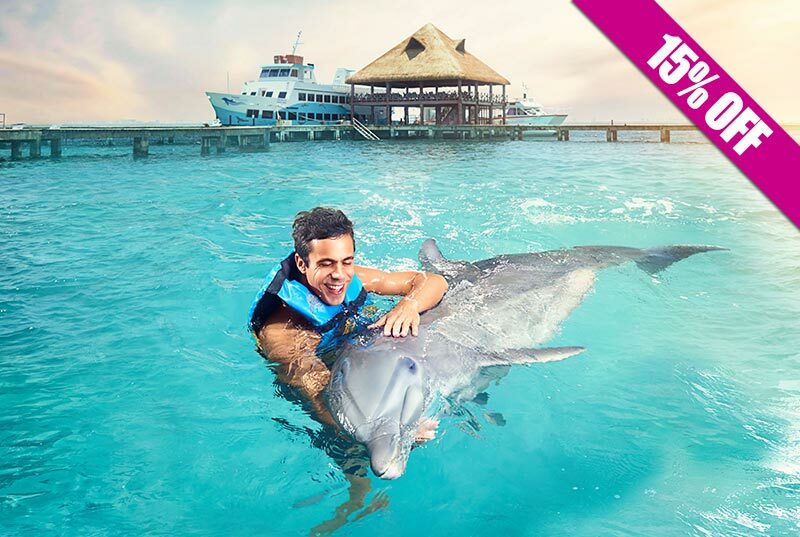 You'll also be able to handshake, hug, kiss and have free time with the beautiful dolphins. 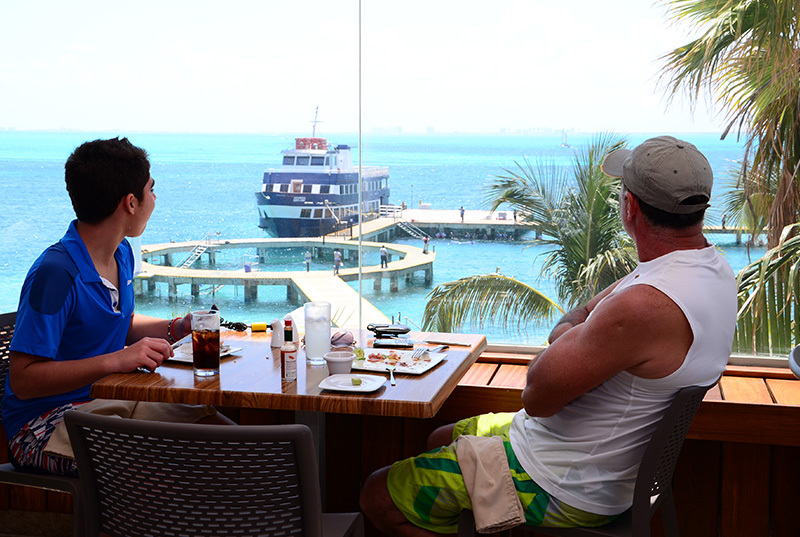 Enjoy the rest of the day on our beatiful Beach club, where you have included: breakfast, open bar, buffet lunch, snorkel with sharks and stingrays and tour to Isla Mujeres' Downtown. You can't miss this, Book now! 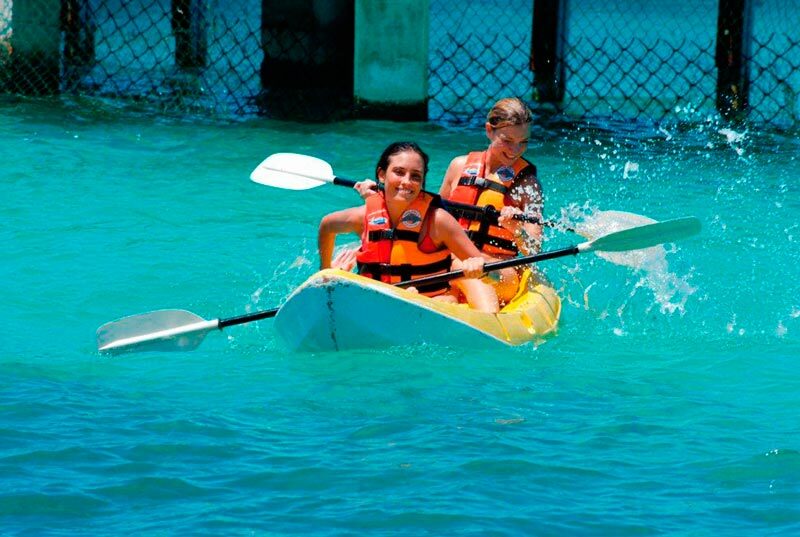 The Dolphin Royal Swim is the most educational, dynamic and complete swim-with-dolphins program in Cancun. 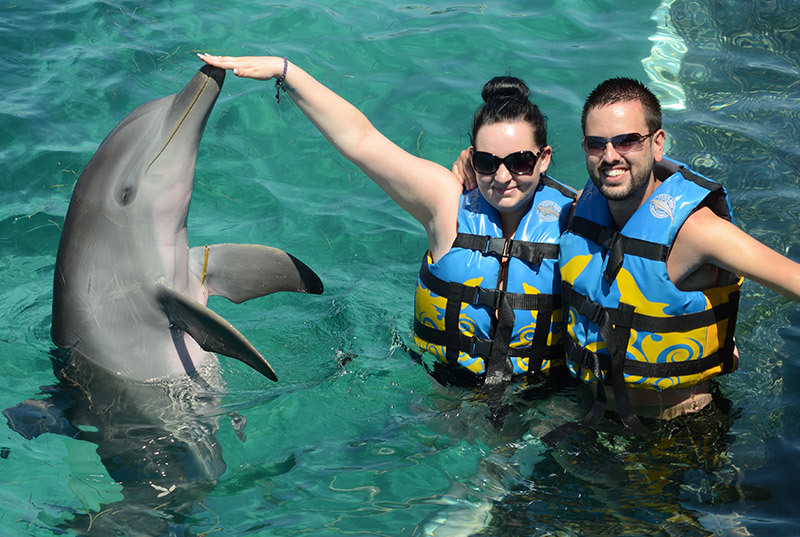 Enjoy more than 7 different dolphin behaviors including the "Foot push" and "Dorsal Tow". Get a closer experience with a maximum of 10 people per group. 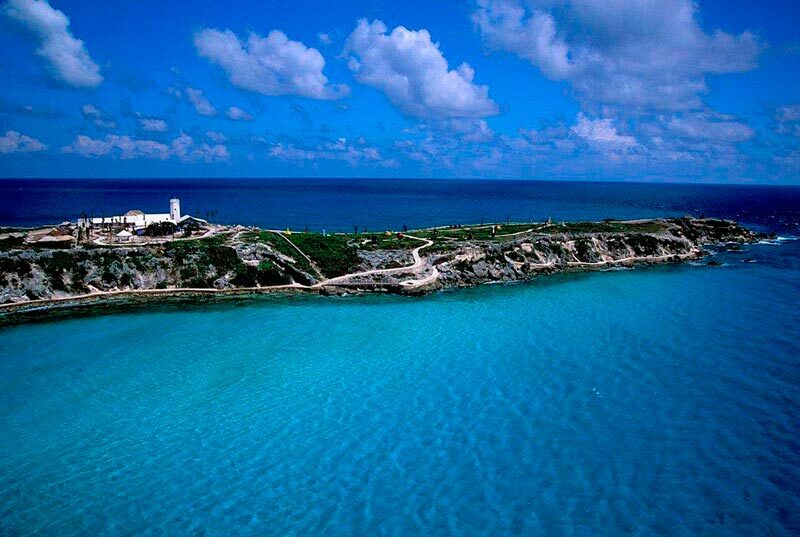 Catamaran to Isla Mujeres is included. 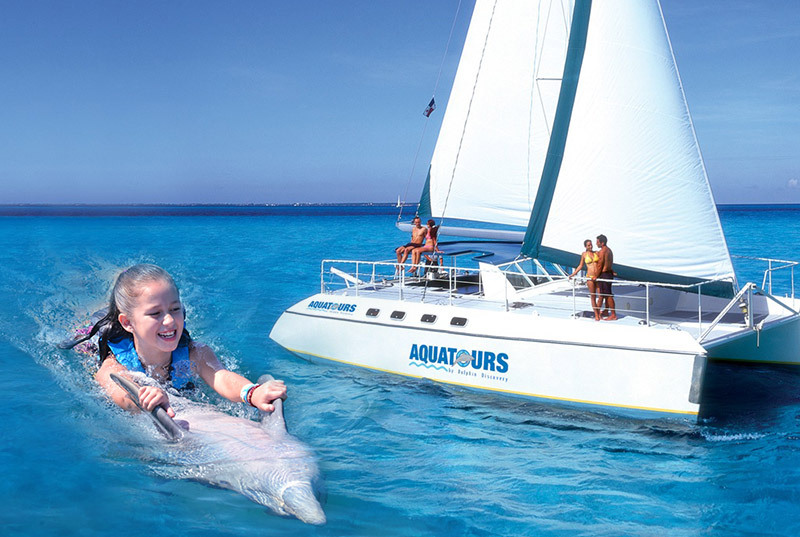 This is the best swim with dolphins tour in Cancun. Book now! Comfortable clothes and shoes, sunglasses, biodegradable sunscreen, swimsuit, dry clothes, towel and cash. 6-12 years olds must swim with a paid adult. 13+ years old can swim on their own. For safety reasons, 5 months and up pregnant women can't participate in any of our aquatic programs. 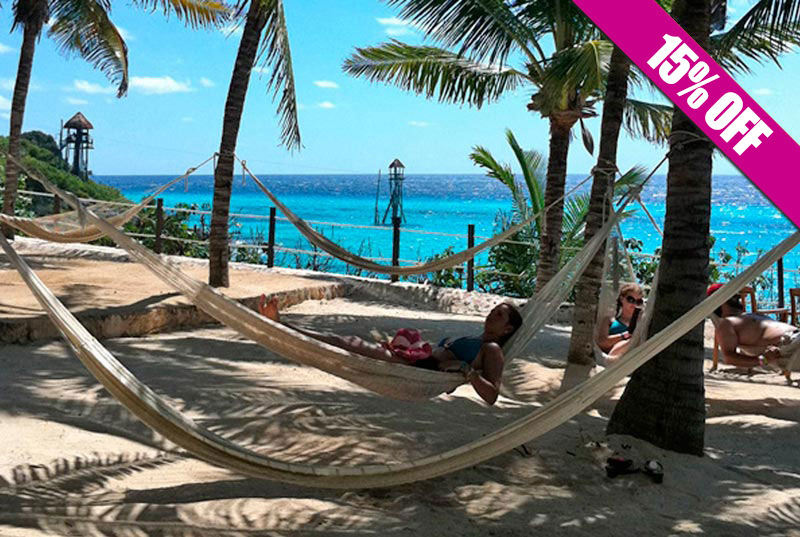 At Isla Mujeres, the groups must be 12 people max. 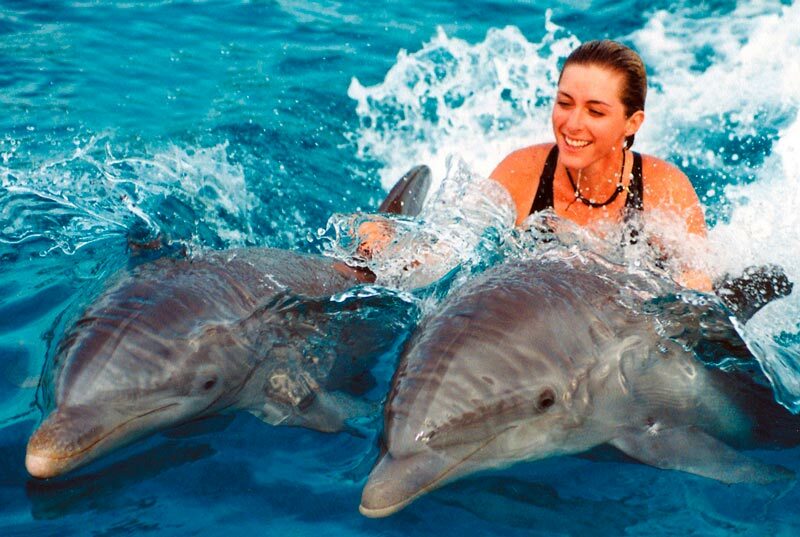 The Dolphin Royal Swim is the most educational, dynamic and complete swim-with-dolphins program in Cancun. The Royal Swim Program is best defined by the words action and speed. 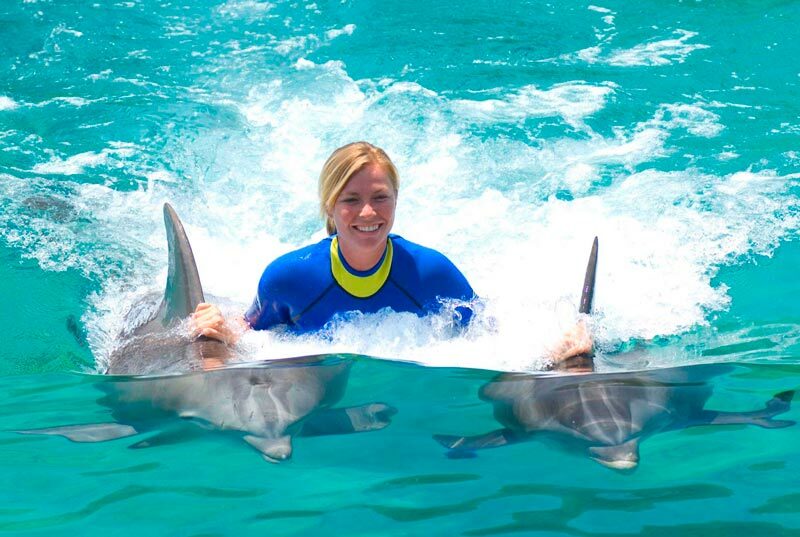 Enjoy more than 7 different dolphin behaviors including the "Foot push" and "Dorsal Tow". 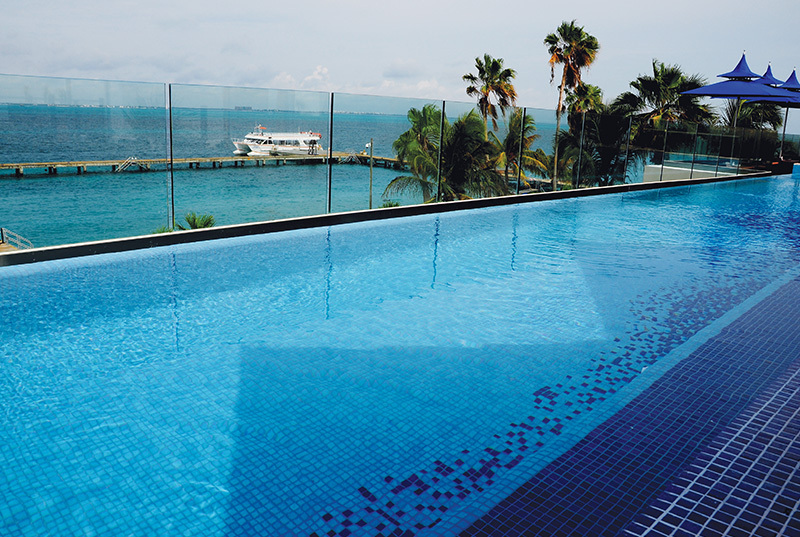 Get a closer experience with Royal Swim since there's a maximum of 10 people per group. 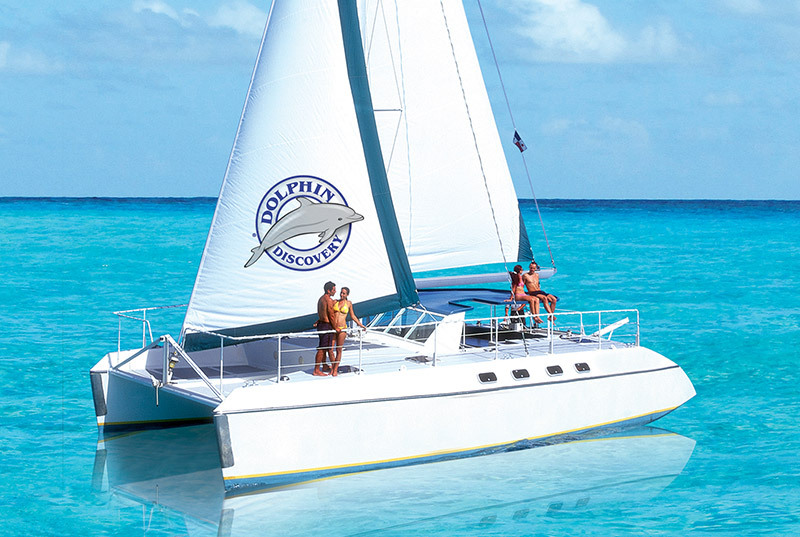 Book now the best swim with dolphins option in Cancun, Dolphin Discovery Royal Swim! 15 min briefing and 60 min in the water with the dolphins. Ferry Cancun - Isla Mujeres – Cancun. Dolphins behaviors: the famous foot push, dorsal tow, handshake, kiss, hug and free time. Fantasy Snorkel with Stingrays or sharks. 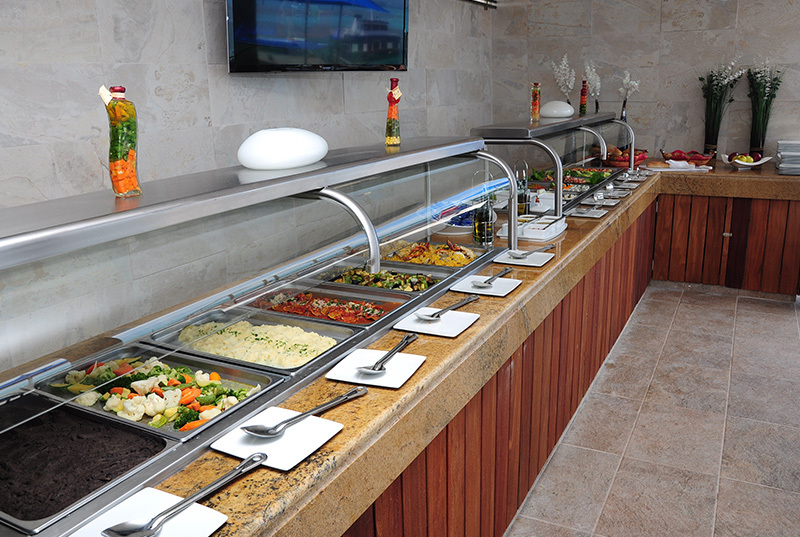 Photos and video of your experience (optional at extra cost). Dock fee ($8.00 usd per person payable at check-in). 6-12 year olds must swim with a paid adult. For security reasons 5 month and up- pregnant women can't participate in any of our aquatic programs. Only in Encounter program women with less than 5 month pregnancy can participate with another adult as a companion and after signing the Responsibility Form.